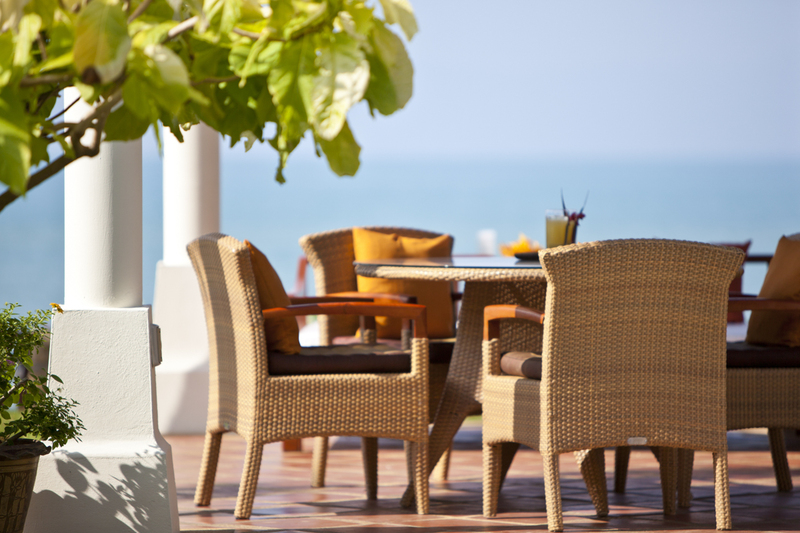 This little piece of paradise is just a stone’s throw from the glorious white sand beach of Mae Nam. 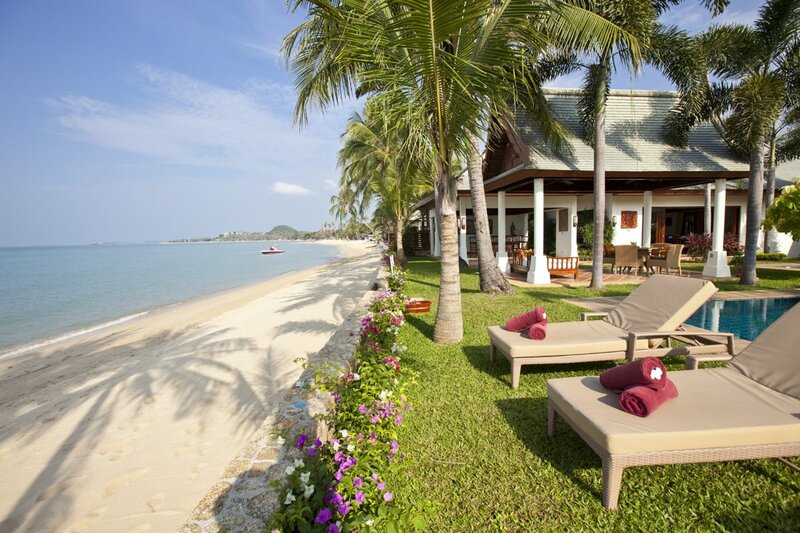 It couldn’t be any closer – meander through the tranquil garden area, past the glistening private pool, and you’ll suddenly find the sand between your toes! There is a luxurious, traditional feel throughout what is a thoroughly modern villa, encapsulated in the tasteful balance of the Eastern and Western décor in each room – particularly the beautiful living room. 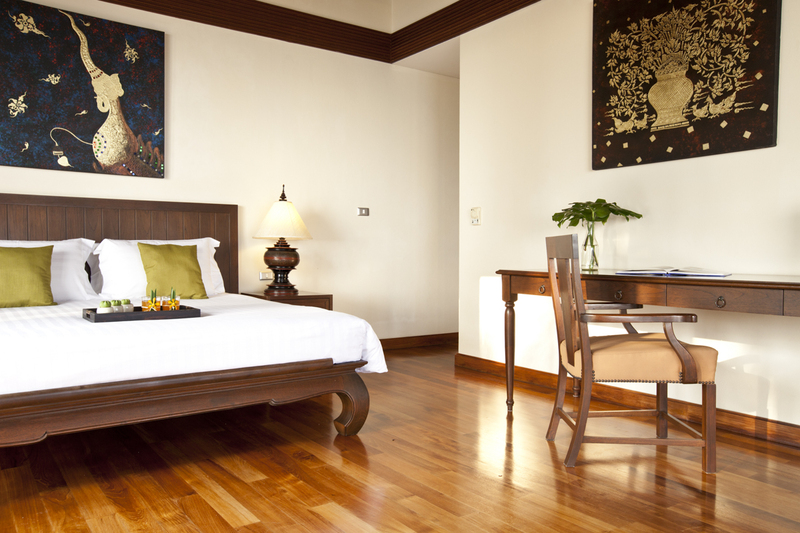 Exposed timber ceilings and smooth teak flooring frame each area, with custom artwork and classical furnishings. Traditional in design perhaps, but undoubtedly modern in facilities, with a Samsung curve satellite TV, DVD Player and even a Netflix subscription! 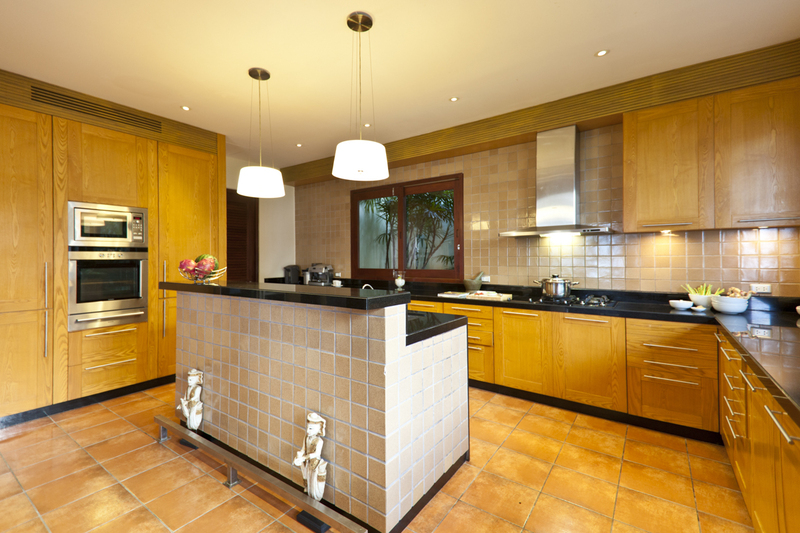 There is a vast kitchen with all the latest Siemens technology including a blender, coffee percolator, twin sinks and more. The black granite worktops are contrasted beautifully by the pine panelling. However, the chef is always on hand to prepare the meal for you should you so wish to steer clear of the kitchen in your time away. 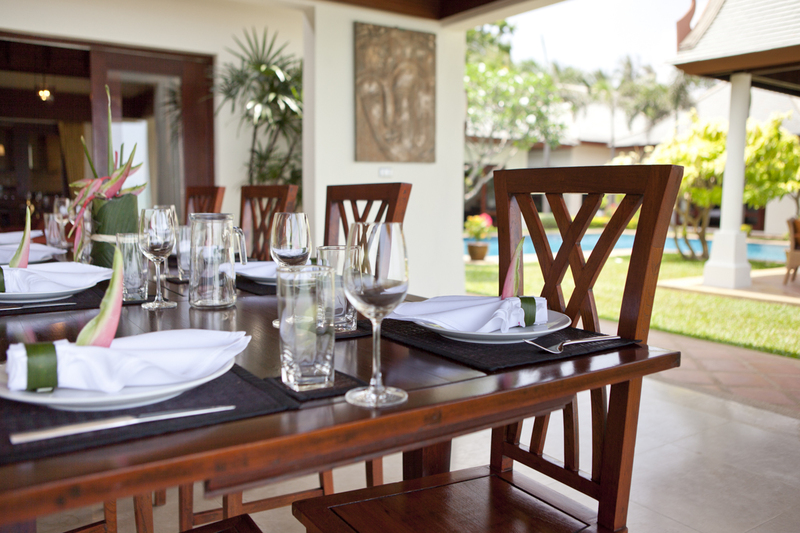 With a large table in the living room, another under the veranda and a third, smaller table closer to the beach, there are multiple options for where to enjoy a little fine dining. There are five bedrooms, all of which surround the lovely private pool and benefit from their ensuite bathrooms. All five air-conditioned rooms continue the elegant design of the villa with fitted wardrobes and walk-in closets, while the master bedroom also enjoys a writing desk, satellite TV with DVD player and a great outdoor patio area with two sunbeds and a massage bed. 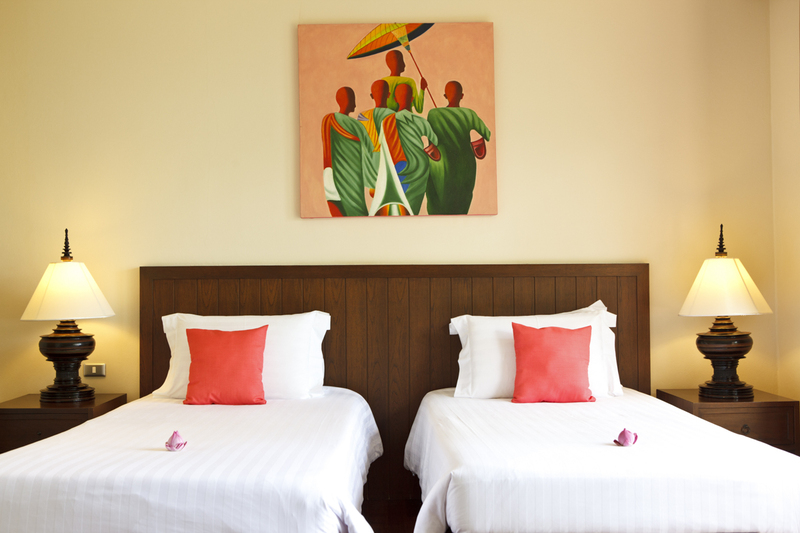 The three twin rooms feature two super single beds while the two double rooms enjoy king-size beds. 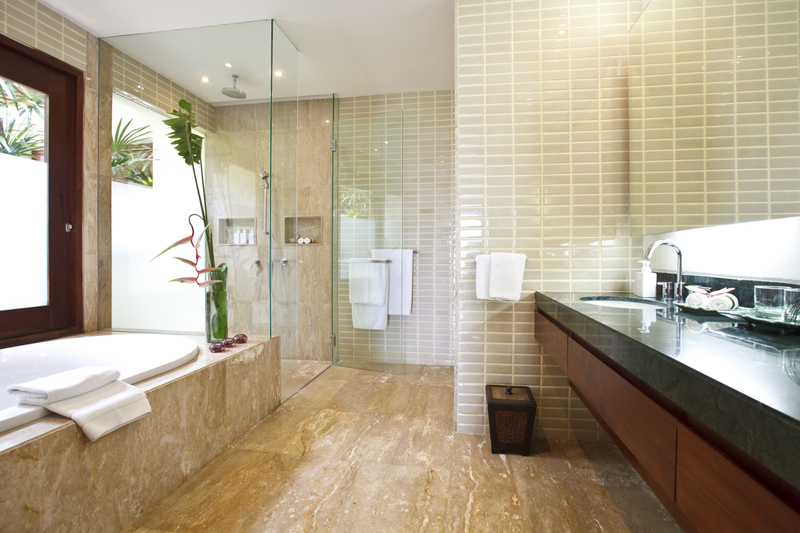 The master bedroom has a bath and a shower while the other bathrooms feature their walk-in showers, and all five have beautiful marble flooring, 100% cotton bathrobes and slippers, towels, a hairdryer and all the toiletries you could need. Throughout the garden and terraces, colourful flowers add a sense of life and energy to the tranquillity of the vast private pool which features underwater lighting, creating a soothing ambience in the evenings. 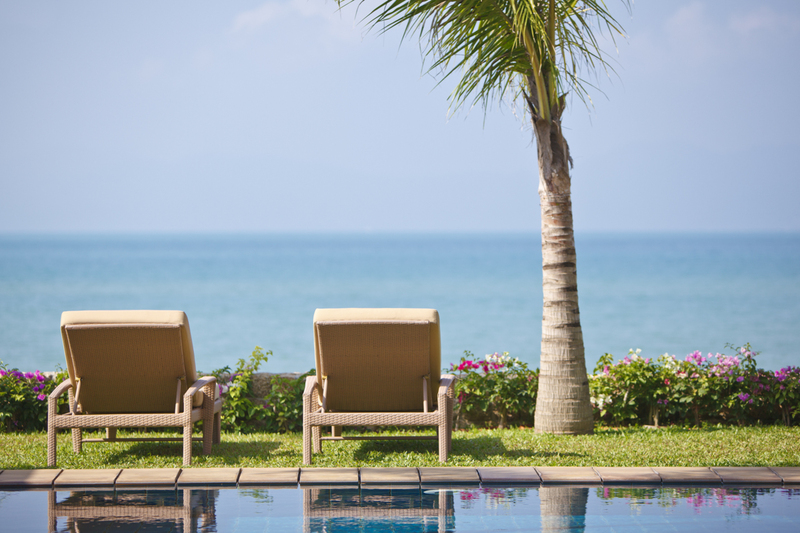 Around the pool, there are plenty of sun loungers, pool towels, a gas fired BBQ and even a pool shower. The traditional Thai Sala offers Bluetooth speakers, a casual seating area and a ceiling fan to keep you fresh in the shade. In the fabulous outdoor bar area, you will find a granite-topped bar with a sink, fridge, stereo and even a dartboard! 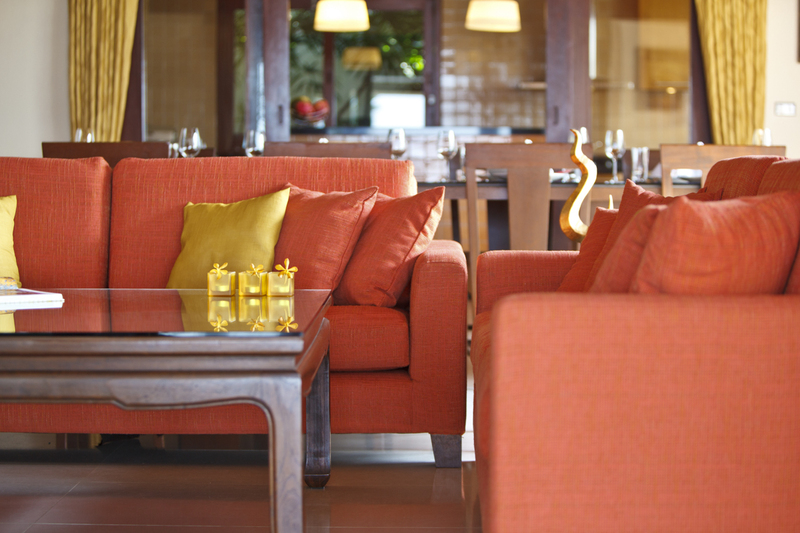 Perfect for the relaxed evenings overlooking the stunning sunsets over the beach. 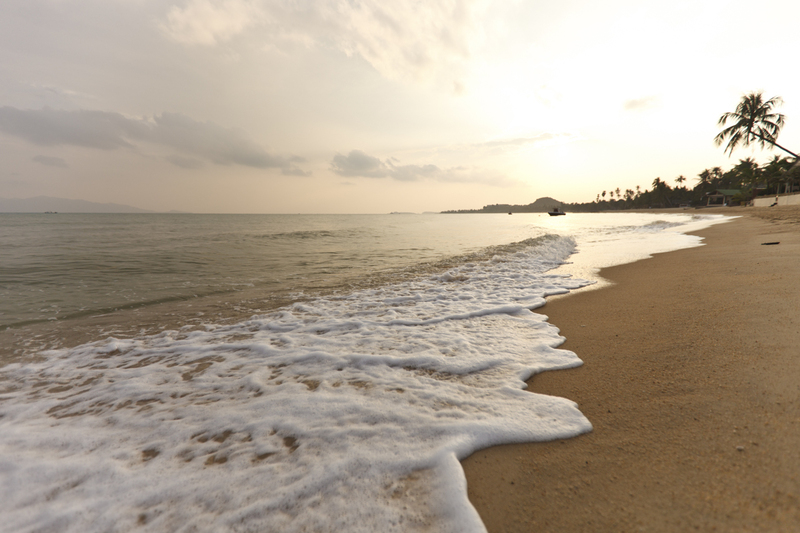 24-hour security and private parking will ensure your peace of mind so you can put your feet up and let all your worries wash away, like the calming waves breaking on the beach below. 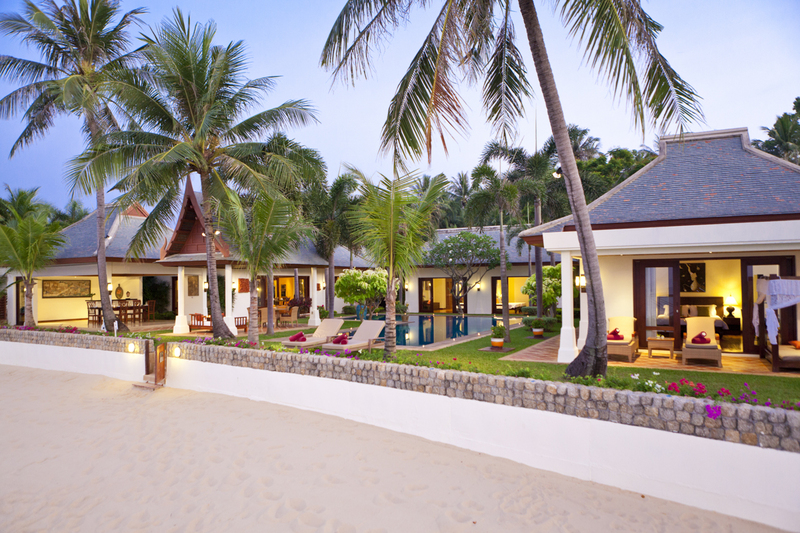 Villa Lawana is located on the tranquil Mae Nam beach, a five-kilometre stretch of palm-lined, pristine white sand famous for its glorious sunsets. It’s increasing popularity is making it even easier to access, so whether you’re travelling from Bangkok, Hong Kong, Singapore or elsewhere nearby, you should find the journey a breeze.